This afternoon I sent a letter to Collin County district judges Chris Oldner and John Roach, Jr. about their orders sealing the names of all county grand jurors, because it appears that those orders are designed to protect the rear ends of Collin County’s political class rather than the privacy of the grand jurors. Both orders apparently are directed at me, albeit not by name. In identical language, the orders claim that previous grand jurors were contacted at their homes and places of employment, “information was received outside the grand jury process and in violation of the laws of the [S]tate of Texas,” and that the “matter regarding which the prior grand jury was improperly contacted remains under investigation.” As my readers already know, I first sent a letter to the Collin County grand jury on March 6, 2015 about Texas Attorney General Ken Paxton’s shady business dealings, followed by another letter on March 21, 2015. And yes, I delivered some of those letters personally. As I explained in my letter to the judges (and in the latter half of my June 1, 2015 post), there would have been no grand jury investigation of Mr. Paxton if a nosy citizen (i.e., me) had not directly notified the grand jurors of the evidence of Mr. Paxton’s lawbreaking, as well as the evidence that Collin County DA Greg Willis was trying to cover it all up. You may recall that the grand jury went rogue after I sent the March 21, 2015 letter revealing the undisclosed business relationships between Mr. Willis and Mr. Paxton. I am not aware of any complaints from the grand jurors, and neither I nor anyone else posted their names publicly, so perhaps we should stop pretending that the orders were designed to protect grand juror privacy. And let’s get the law straight while we’re at it: yes, it is illegal to solicit confidential information from grand jurors, but nothing prohibits the public from sending information to grand jurors, and nothing restricts grand juries to the information that they are spoon-fed by prosecutors. Grand juries are supposed to be “independent of the control of judges and prosecutors,” Whittington v. State, 680 S.W.2d 505, 512 (Tex.App. – Tyler 1984, pet. denied), and free to “act on their own knowledge and … free to make their presentments or indictments on such information as they deem satisfactory,” Costello v. U.S., 350 U.S. 359, 361 (1956) (cited with approval in Whittington, 680 S.W.2d at 511). So how can grand juries be “independent of the control of judges and prosecutors” if judges and prosecutors are controlling the flow of information? As former attorney general and current Governor Greg Abbott explained in an official 2006 opinion, grand juror names are public information (and Mr. Paxton himself recently affirmed that opinion). Meanwhile, Judge Oldner’s and Judge Roach’s orders are just the latest salvos in a long-running war against the independence of grand juries (in and outside of Texas, as explained below), because judges and prosecutors almost always want to control what grand jurors see and hear. After all, we can’t have common citizens asking inconvenient questions about what happens in the courthouse, particularly when those common citizens can issue indictments. And that seems to be the real impetus for the orders. In my March 21, 2015 letter, I asked the grand jurors to investigate one of the business transactions involving Mr. Paxton and Mr. Willis, specifically the suspicious purchase and sale of the site of the Collin County Appraisal District building. I also sent that information to the FBI and the U.S. Attorney’s Office (and it appears that the feds are investigating). According to the Dallas Morning News, a virtual who’s-who of Collin County politics was involved in the appraisal district transaction, and we still do not know who all of the partners are. 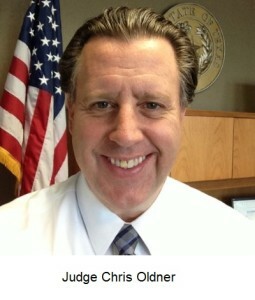 Is Judge Oldner or Judge Roach one of the partners? What about friends, family members, or political allies? Lest you think that question unfair, consider the fact that Mr. Willis was a sitting judge while he was a partner in that real estate venture. And if someone suspected that I might ask the new grand jurors to investigate that real estate transaction, that suspicion would have been well founded. I sent a letter to the district clerk on July 8, 2015 requesting the names of the new grand jurors for that very reason. 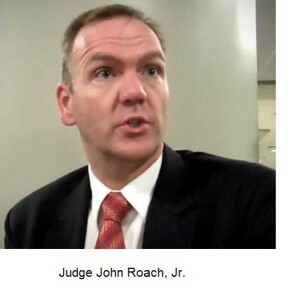 The same day, Judge Roach signed his order prohibiting the release of the names. If you think I am too suspicious of the Collin County ruling class, consider this May 12, 2015 letter from the Lone Star Project to Gail Leyko, the assistant DA in charge of grand jury matters. The letter reveals new information about the appraisal district transaction, and it is clearly intended for grand jurors. But they never received it. I sent an email to Ms. Leyko on June 25 asking if she delivered the letter, but she ignored me. Another source later confirmed that the letter had never been delivered to the grand jurors. So let’s get this straight: someone tries to request a grand jury investigation into whether the DA committed a crime, and the DA’s employees take it upon themselves to divert that request away from the grand jury. Yes, the Lone Start Project is a partisan Democratic organization, but so what? Facts are facts, and the DA should not be in a position to decide whether he gets investigated. Perhaps, you think, I should send a letter to the grand jury in care of the district clerk. I’ve tried that, and she just gave it to the DA’s office (if you want to understand how little confidence I have in the district clerk, just read my November 12, 2013 letter to her). By now, Collin County’s political-establishment types surely realize there’s nothing that they can do to save Ken Paxton, but saving saving their own skins is another matter entirely. Whereas the securities violations appear to be isolated to Mr. Paxton, the appraisal district transaction could snag Mr. Paxton, Mr. Willis, and any number of Collin County elected officials. In fact, that’s only one transaction. Somebody needs to investigate all of the county’s leases and real estate transactions, e.g., the lease of the elections office facility. And if you want to express your opinion on the orders sealing grand juror names, send an email to Judge Oldner (cwatson@collincountytx.gov) and Judge Roach (296@collincountytx.gov), and be sure to paste a copy in the comments section below. Grand jury manipulation is not unique to Collin County, and it’s not unique to Texas. Last year, I sent a letter about evidence of crimes committed by some Maryland lawyers to grand jurors, c/o the jury commissioner for Montgomery County, Maryland. The jury commissioner gave the letter to the clerk, and the clerk gave the letter to Asst. 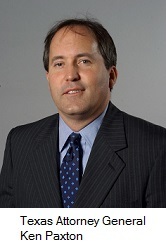 State’s Attorney Bryan Roslund… who had already told me that he was not interested in the case. He waited until the last day of the grand jurors’ term to present the letter, at which point there was nothing the grand jurors could do, even if they were interested. Closer to home, I asked the Dallas County district clerk and the county’s court administration office for the names of grand jurors, because I wanted to present the Paxton case to Dallas County grand jurors if the case got buried in Collin County. I was soon informed that Dallas County Asst. DA Brian Garrison was appealing my request to Mr. Paxton’s office for an opinion on whether the names should be released. In an April 10, 2015 email, I informed Mr. Garrison that the AG’s office had already opined that grand juror names are public information. After a further exchange of emails, Mr. Garrison replied, “The 2006 opinion specifically concerns the duties of ‘judges and clerks;’ it does not address that of a prosecutor or prosecuting office.” Seriously? Who in their right mind would think that public information is only public if you request from a judge or a clerk versus a prosecutor? Far worse, however, was the fact that I had requested the information from the clerk and from the court administration office, not the DA’s office. In some jurisdictions, like Maryland, grand jurors are given a fairly informative handbook about their rights and responsibilities. That’s a good starting point, but I would go a lot further. Specifically, I would create the office of grand jury counsel, an elected office with the primary responsibility of representing and advising the grand jury. Prosecutors have an inherent conflict of interest, because they cannot give independent legal advice to grand jurors even as they are trying to “sell” the grand jury on an indictment. Consider this scenario: grand jurors ask to see additional evidence about a case, and the prosecutor refuses. The grand jurors ask whether the grand jury has the legal right to see the evidence, and the prosecutor says “no.” Where do the grand jurors get a second opinion? And who is going to represent them if they try to challenge the issue in court? Prosecutorial misconduct has garnered a lot more attention since the exoneration of Michael Morton, who spent nearly 25 years in prison because a prosecutor withheld evidence, and that’s a good thing. Prosecutors have enormous power, and they need a lot more scrutiny. On the one hand, the grand jury counsel could serve as a “court jester,” pointing out weaknesses in the DA’s case and asking inconvenient questions that non-lawyers might not know they need to ask. On the other hand, the grand jury could assign its counsel the duty of prosecuting a case where the DA refuses or has a conflict. See, e.g., In re Guerra (prosecutor had conflict of interest). In most counties, it would be a part-time role at best, but it could provide a much-needed check on the power of local prosecutors. I’m sure most local judges and prosecutors would oppose the idea, because one of the greatest fears among elected officials in the courthouse is a “runaway grand jury” that starts asking questions about elected officials in the courthouse. In my opinion, that’s all the more reason to do it. ** It’s no secret that Dallas County DA Susan Hawk is a hot mess, but I am increasingly convinced that she is running a sloppy and unethical office. That office is ostensibly charged with upholding the law, but her ADAs have repeatedly played dirty tricks to avoid producing documents that I requested via the Texas Public Information Act (stay tuned for more about that). And while she said her office took a pass on the Paxton investigation because venue was improper in Dallas County, recent evidence indicates that venue would have been proper in Dallas County. Frankly, I suspect the decision was purely political. Ms. Hawk is a Republican in a very Democratic county, and her performance thus far has been less than stellar. A Paxton investigation might have bought some political favor in a Democratic county, but it would not have helped her prospects for appointment / election to higher office in a Republican state. I would like to know which Texas official is responsible for upholding the laws of Texas? I have requested a Coroners Inquest, for 9 years and 3 Justices-of-the-Peace, only to be denied, repeatedly. I can’t afford an attorney, Legal Aid tells me that they don’t do criminal cases, and the DA, Abel Reyna, won’t help.